Barcelona is an incredibly popular European city for travelers of all ages and interests. Young explorers, in particular, seem enthralled by the cities diversity. Indeed, no city in Europe mixes cosmopolitan style with regional flair quite like Barcelona. The city’s well-kept public spaces and diverse population give it a modern, international feel. At the same time, the strong influence of the region’s nationalist movement keeps the local culture a vibrant focal point for the city’s many sights and activities. Situated in northern Spain, Barcelona is well extremely accessible by rail, car, and air. The city attracts travelers from all across Europe and beyond. 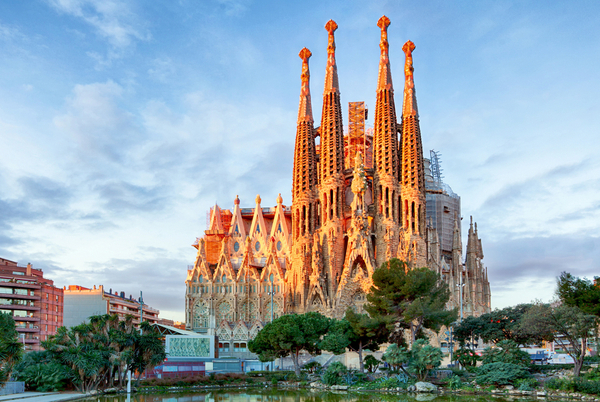 Barcelona’s variety of sights offer something for everyone. La Barceloneta is an award-winning white sand beach on the balmy Mediterranean Sea. The surrounding streets have many restaurants, bars, and nightclubs. Many with breath-taking views of the shoreline. History buffs and architecture aficionados, on the other hand, can visit the Barri Gòtic, the Gothic Quarter. Narrow, winding streets open into plazas surrounded by quaint buildings. Many of which date back to the Middle Ages. 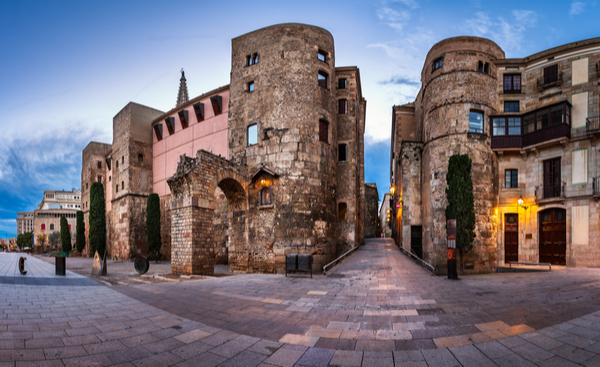 Some are even as old as the Roman settlement of Barcelona. In fact, there are remnants of the wall the Romans built around the city sometime in the early first century. For history that is a little less remote, Montjuïc hill is home to the Castell de Montjuïc. Although the fortress was built in the 17th century, some of its most important histories only date as far back as the Spanish Civil War in the 1930s. That was when both sides used the fortress to imprison and execute political opponents. Despite this gruesome history, the hill and fortress offer an impressive vista of the Mediterranean on one side and a clear panorama of the entire city on the other. 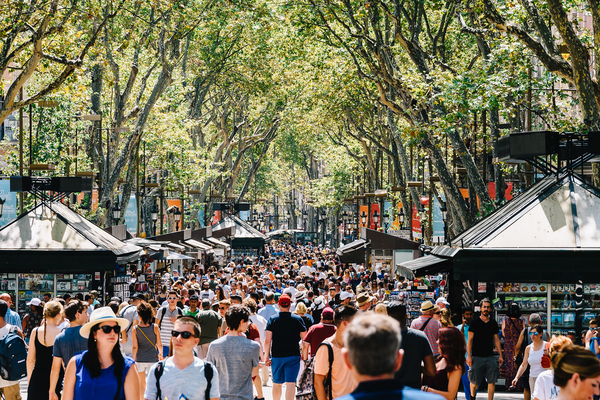 Filled with sculptures and fountains showcasing the city’s artistic flair and surrounded by restaurants, theaters, shops, hotels, and banks, la Plaça de Catalunya is a bustling plaza which acts as the heart of the city. Crowd Of People In Central Barcelona City On La Rambla Street. One end of the plaza opens into Las Ramblas, a wide street with a pedestrian shopping mall at its center. Full of colorful street vendors selling everything from mass-produced plastic souvenirs to authentic, handmade crafts from local craftsmen. Las Ramblas district runs from the central Plaça de Catalunya straight to Port Vell. A family-friendly harbor with many attractions bars and restaurants is also in the vicinity. Before the renovation and prior to the 1992 Olympics in Barcelona, Las Ramblas was a run-down and desolate area of Barcelona. Now, it is a major tourist destination which features a mall, an IMAX theater, and the largest aquarium in Europe. This area of Barcelona is now a major tourist attraction for travelers. La Sagrada Familia – the impressive cathedral designed by Gaudi, which was built in 1882 and is not finished yet. Barcelona, Spain. No discussion of Barcelona would be complete without mention of the celebrated Antoni Gaudí. Without a doubt, the city’s most celebrated architect. Dozens of Gaudí structures are all over the city. His characteristic style of “modernism” or “Art Nouveau” is visible in every corner of Barcelona’s buildings and public spaces almost 100 years after his death. Among the most famous of his buildings is Casa Batlló. With its dazzling bright mosaic façade, Casa Milà, known for its unique chimney and roof architecture, and of course, La Sagrada Familia. Construction on this magnificent cathedral began in 1882 and isn’t expected to be completed before 2026. In many ways resembling a large sand castle, the completed building will have 18 tapered spires topped with sunburst-like shapes and be the tallest church in the world. Murals consisting of sculptures etched into the facades of the building portray various scenes from the life of Christ. Also, you will see Gaudí’s characteristic colors and curves in the windows and stonework. Gaudí has received worldwide renown. Seven of his works designated as World Heritage sites by UNESCO. 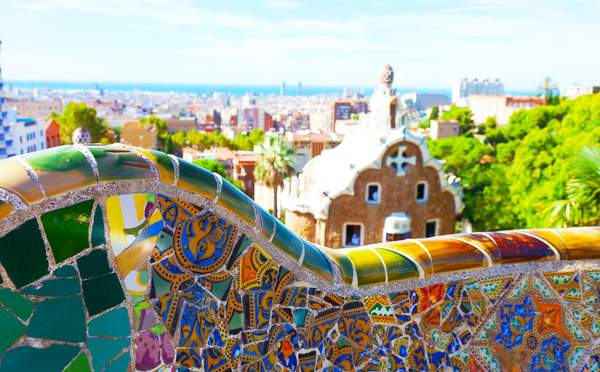 Gaudí buildings are easy to spot, with their iconic wavy lines, bright colors, and whimsical shapes. His influence can be seen throughout the city in buildings by other architects which attempt to imitate these features in small ways. This gives the entire city a coherent architectural look. Right down to the lamp posts (also designed by Gaudi) and benches. Barcelona’s streets are wide, clean, and arranged in a well-planned grid that facilitates traffic flow. Benches line main pedestrian thoroughfares, nearly always in the shade of evenly-spaced trees. It is no wonder that people from all around the world consider Barcelona a comfortable, modern home. Or, that it has received international awards for its architecture and design. But despite this cosmopolitan atmosphere, Barcelona retains a local identity stronger than that of most European cities. Spain is a country of extraordinary cultural diversity. With four nationally recognized languages and 17 autonomous communities. Several of these communities are legally recognized nationalities. Catalonia (of which Barcelona is a part) is one such community, so its residents consider themselves “Catalan” rather than “Spanish.” This part of northern Spain has had its share of armed confrontation over the years, much of the regional volatility instigated by Catalonia separatists. During the dictatorship of Francisco Franco from 1936 to 1975, the expression of such nationalistic pride was brutally repressed. 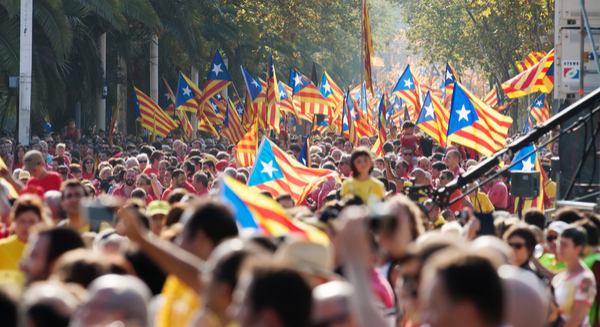 As a result, the Catalan cultural identity is recognized with an even more fervent zeal. Although Spanish is the main language in Barcelona, residents acknowledge tourists who attempt to speak Catalan. Signs throughout the city are in Catalan with occasional Spanish translations. Regional dishes supplant national ones on local menus. Publish books and songs in Catalan get higher praise over their Spanish versions. Local outposts of national chain stores even translate their names into Catalan. This mixture of global and local makes the city as unique as it is vibrant. While travelers from all corners of the world enjoy visiting this diverse modern city, Barcelona can feel sure that it will not lose its local history or Catalan character anytime soon. 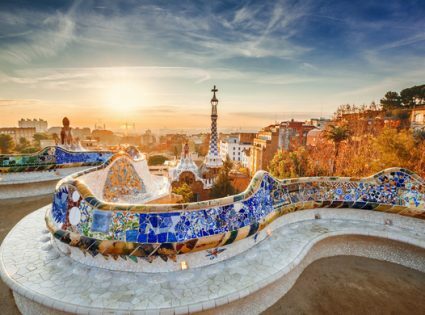 Barcelona is a mystical, diverse and cultural bonanza for the modern day traveler; a city that caters for every taste and every conceivable whim or interest. 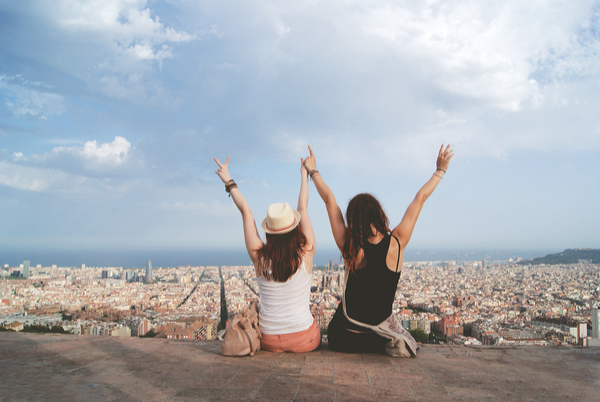 Barcelona’s accessibility from within Europe by rail and air and its real diversity makes the city a perfect destination for both traveling alone and in groups. Indulge in appreciating the rich local culture or spend time on the beaches or browsing shopping malls, no visit to northern Spain should pass by without a trip to Barcelona.